We have International Democratic Education Conference (IDEC) in Finland this June. I join this IDEC with graduates of Shure University who run the social enterprise "Creators 440Hz". To save the buget, we used the flights via Moscow. 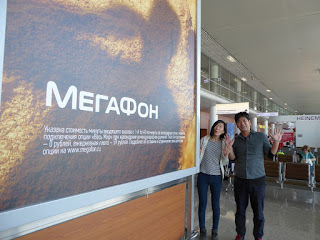 This picture was in Moscow air port. As for Moscow, Moscow International Film School celebrated their 25th anniversary about a week ago. I joined through vide message.